Chesapeake is home to year-round, outdoor adventures. But come late spring and summer, it&apos;s home to an especially juicy adventure: strawberry picking. 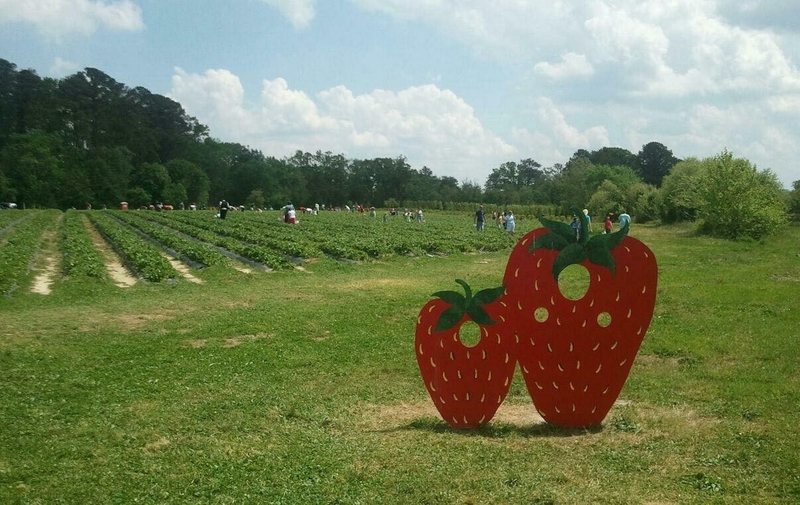 Bring your family and friends along for a lovely day outdoors, getting back in touch with nature with strawberry picking in Chesapeake. *Note that weather and field conditions may affect operating hours. Please call ahead to confirm. Lilley Farms provides the containers for your strawberries. However, if you bring a Lilley Farms container from your last trip, you&apos;ll get $.50 off your next pick. U-pick and pre-picks are available all day. Morning weekdays are pretty busy with school field trips, but are still open to the public. If you&apos;re looking for a more laid back picking experience, visit Hickory Ridge Farm in the afternoon. With strawberries nearing 3" in size, you&apos;ll be picking from some of the plumpest strawberries in Chesapeake. Ready for a strawberry-picking adventure? Get out to Chesapeake and let the moments begin.